Unions have cautioned that the new safety regulations being rushed through by Canberra and the states, face the potential of endangering the lives of many miners working in at risk. 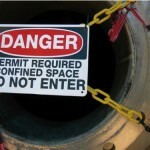 This confined spaces issue, has caused the NSW Minerals Council and The Construction Forestry Mining and Energy Union’ to voice their concerns. The NSW Minerals Council has stated their support for CFMEU’s request that the National Mining Safety Framework’s implementation be delayed for six months. The union’s mining division’s general secretary, Andrew Vicors stated that the national standards were left open to public comment for six months prior to the start date of the regulations. Vicors added that despite the framework being due in February, additions to the new regulations weren’t free to the public until last month. According to Vicors, the deadline had been cut to January, leaving only eight-weeks for the consultation period. He said a number of cuts to air and methane monitoring, the banning of breathing apparatus, as well as problems with the level of escape routes and the level of ventiliation,:are worrying the union. Vicors believes that disastrous events like the Pike River tragedy wouldn’t have occurred if New Zealand had adopted the same safety laws of NSW. He attributes the subsequent strengthening of NZ safety laws, to their government’s recognition of the recent tragic events.He has pressed Julia Gillard and various other politicians to delay the new safety laws.A representative from Senator Evans has indicated that the government might lengthen the period of consultation and the execution of the framework.